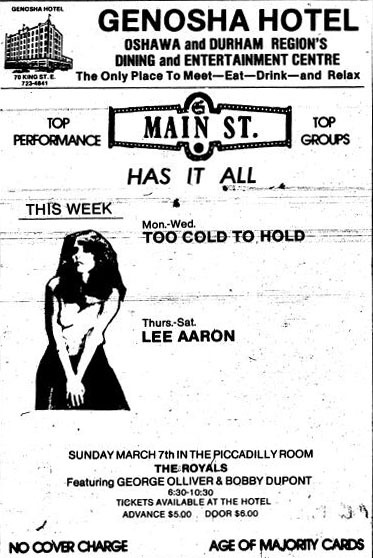 The rock club "Main Street" was opened in 1977 and was located downstairs at the Genosha Hotel. 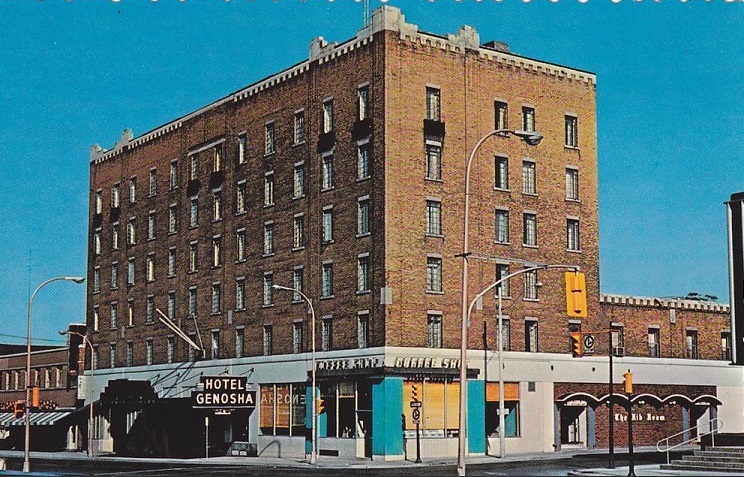 The Genosha Hotel opened on dec 5, 1929 and was Oshawas largest hotel. It was closed down in 2007. It's currently being renovated to hold apartments.